Welcome to Oliver’s Cinema. Please find a seat and make yourself comfortable; Act 2 is about to start. We’re happy you could join us—tonight’s feature will be a memorable experience that will fire the imagination visually and emotionally as deeply and with as much pull as it does with music. Each performance will offer an evocative blend of sentiment, mood and melody. Expect a distinct, emotional clarity to these virtual landscapes with a minimum of clutter and distraction, and an intriguing range of musical flavors. Some will hear jazz as the primary note, many will mark a variety of classical and folkloric ideas passing through lime welcome visitors, finding a comfortable place within these performances. All will recognize a refreshing originality to Oliver’s Cinema that remains long after the listening, a retinal after-image for the ears and the heart that will stay with you long after the closing credits. Oliver’s Cinema is a sonic adventure of lasting resonance, a cross-cultural concept, and a trio of unlikely instrumentation. It is a band that suggests a veritable world of sound with nothing more than trumpet, cello and accordion, an ingenuous blend of timbre and texture. The music of Oliver’s Cinema is so naturally effective that it seems to ask why no one has thought of this combination before. For Oliver’s Cinema, Vloeimans reached across borders—recruiting German cellist Jörg Brinkmann and Belgian accordionist Tuur Florizoone—and formed a team of surprising collusion. Each are melodic masters in their own right; each has learned to expand their musicality with a vocabulary of patience and surprise, light and shade. One measure of their compatibility is the unforced precision of the group’s “rhythm section”— Vloeimans’ tempo shifts, Brinkmann’s pizzicato patterns, Florizoone’s thumb-slaps on the accordion frame. Another can be found in the sonic handoffs from one instrument to the next: a sustained note on the cello echoed by the haunting, string-like sigh from the top end of the accordion; the accordion’s breathy runs replicated on the trumpet. 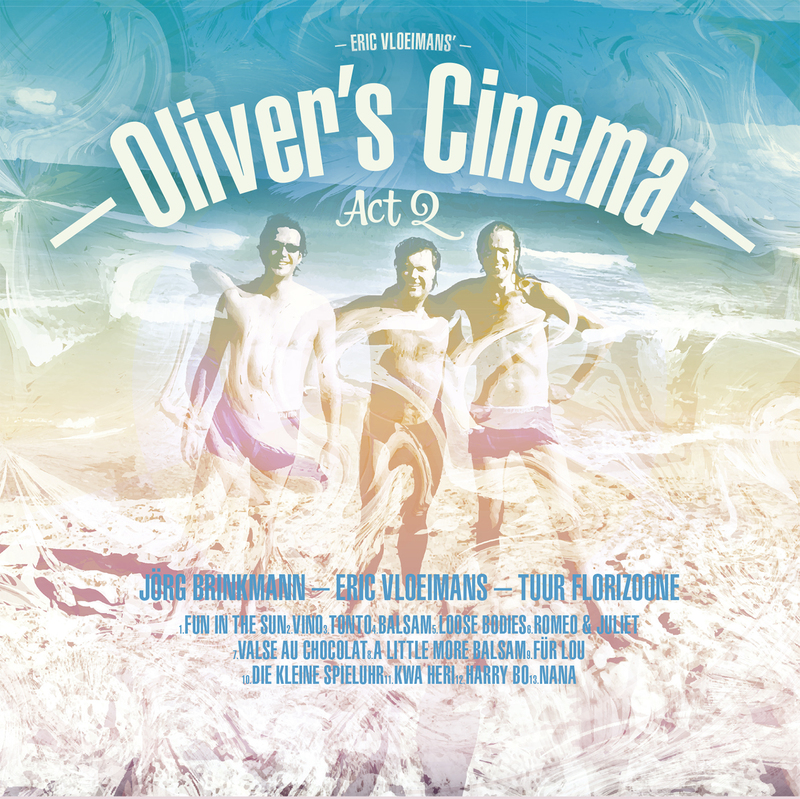 Act 2 is the second outing for Oliver’s Cinema, an album of performances that are conversations as much as compositions—conversations shared by three old friends sitting around in the fading glow of the evening, friends who know each other almost too well. Their discussions have that ethereal, all-knowing quality and require a soul-stilling level of attention that is worth the time invested and emotional engagement. So sit back, let go of the day, and enjoy the musical images that are about to flow. Oliver’s Cinema welcomes you. Don’t forget to turn off your phone too—you won’t want to be interrupted. Is this a MCH SACD ? ""Who listens even sharper, hears how ingenious the three meet together and with how much joy for adventure there is played." ""[..]Vloeimans has added both classical and folkloric elements to his jazz. His trio sounds flexible, adventurous and intimate.""